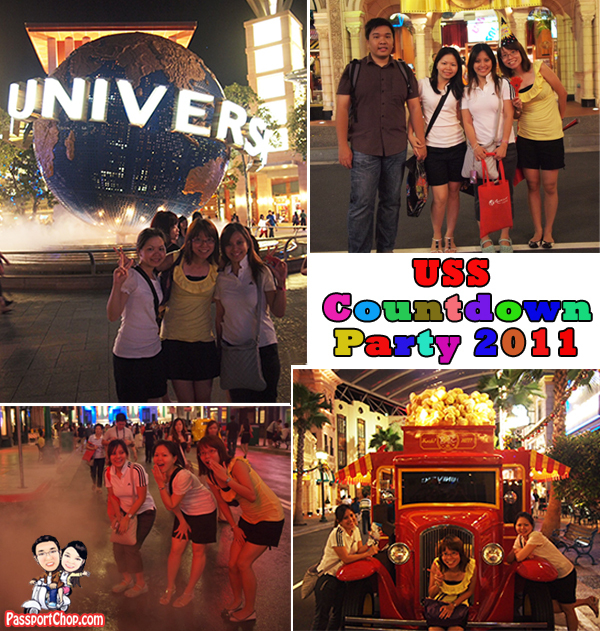 Thanks to Resorts World at Sentosa (RWS), we were invited to the 2010 Year-End Countdown Party at Universal Studios Singapore. 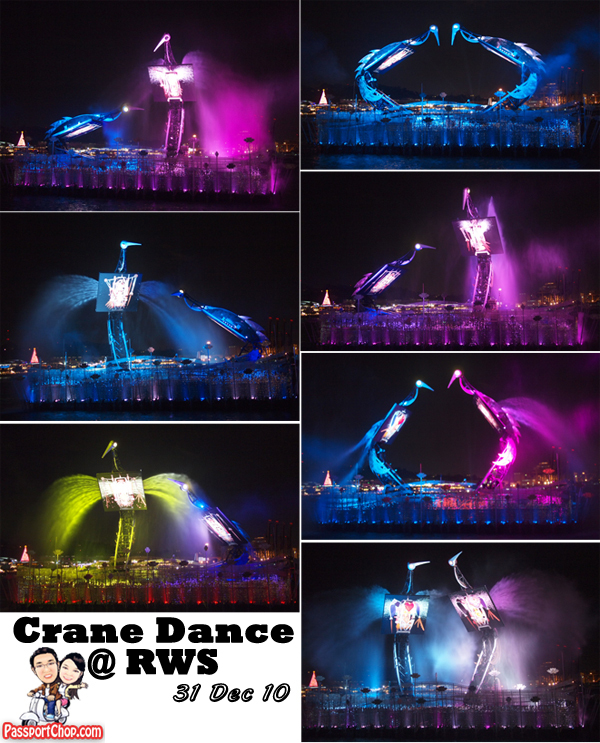 Just before entry to the Countdown Party at Universal Studios Singapore, we checked out the Crane Dance – a free nightly performance at the Waterfront of Resorts World at Sentosa. This is a 10-minute performance which starts at 9pm. This performance depicts a magical love story between a pair of mechanical cranes and how their love for each other transforms them into real birds – very cute and romantic. Seats are available but come early to grab your seats or if you don’t mind standing (like us), you can also get a good view with the standing crowd. You can also check out the performances from the hotels around Harborfront Centre or any of the Sentosa Island hotels e.g. Hard Rock hotel. 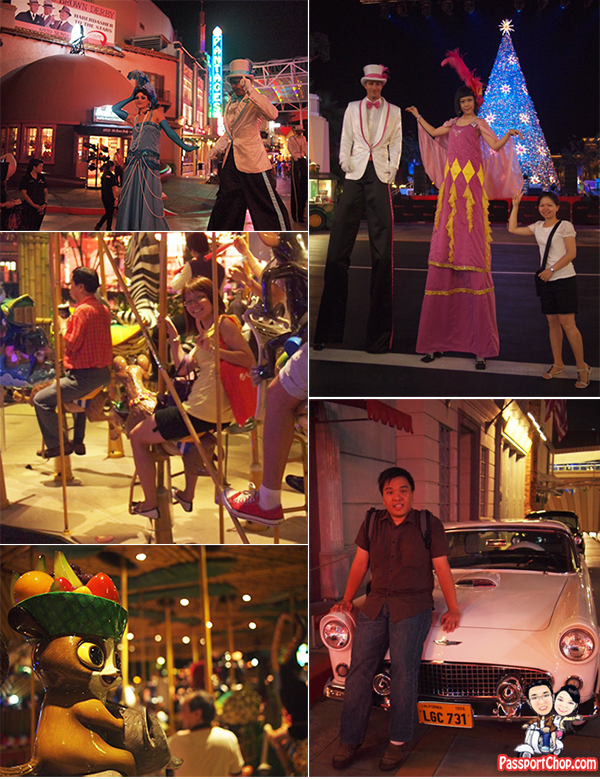 4 rides at Universal Studios Singapore were opened just for this countdown party – they are usually closed after 6pm. We had fun checking out the Madagascar King Julien’s Beach Party-Go-Round and the Far Far Away Enchanted Airways. Surprisingly, the queues were not very long and we were able to enjoy these rides within 5 minutes of joining the queues. 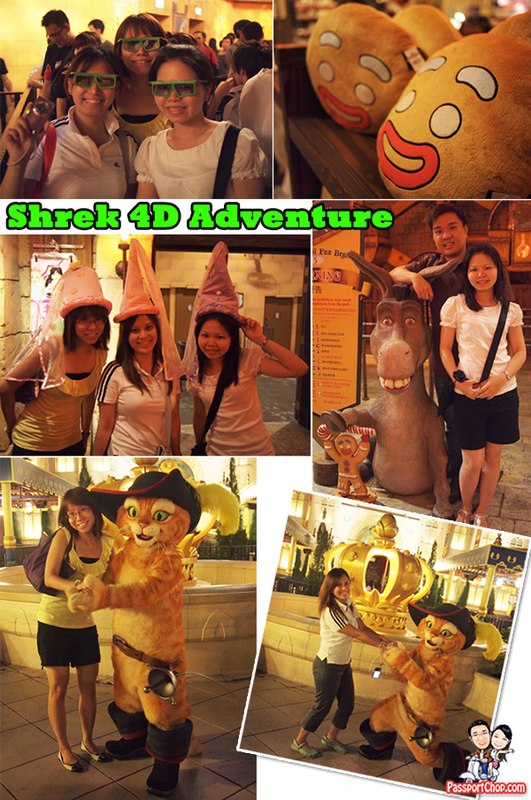 Shrek 4D Adventure was another fun attraction. Despite having checked it out during our earlier VIP Tour of Universal Studios Singapore, it was still quite a fun experience being surprised by the various effects. Check out the amazing fireworks display at 12 midnight to welcome 2011. It would have been perfect to end off the day with a stay in one of the Resorts World Singapore’s hotel to celebrate the brand new year. No worries mate! =) Good to hear that you all had a wonderful time!